As a small business owner, it is essential to look for inexpensive ways to promote your product. One of the easiest and most effective methods of doing so is by customizing the packaging materials that you use for shipping your product or wrapping it up before placing it for sale in a store. Small business owners with limited resources are frequently concerned about the cost of these methods, but you can use small packaging runs to get short-term benefits and see whether custom packaging is worth the investment for your company. The following tips can help you better use these small packaging runs for promoting your product so you see the best results for your investment. The goal of any business is to generate more revenue, and although it may not seem like it, packaging is actually a great way to do so. Simple choices you make in terms of packaging your product can greatly influence how potential clients perceive it, and this is just as true for the packaging directly outside of the product as the box or similar container that it is shipped in. 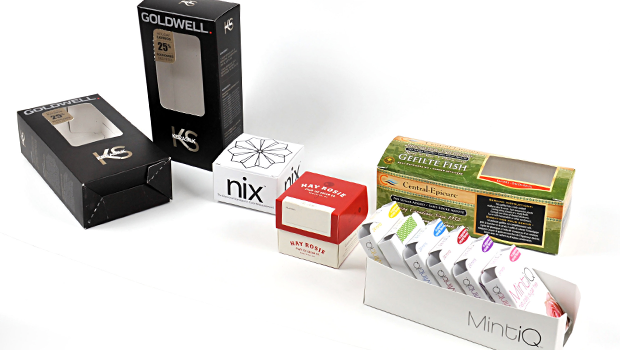 The very first step for generating revenue via your packaging is to carefully select the type of packaging. Every single element of the container, from color to function to size, will influence the way that your customers perceive the brand. Even a simple decision, such as selecting a box designed for the health care industry instead of one to hold electronics, can impact your sales, as people have been trained by marketing and other products to associate different forms of packaging with different types of products. When you are looking at the actual packaging, don’t forget to carefully pay attention to the size and shape. Generally speaking, larger boxes will cost more money. Therefore, by opting for the smallest package that will fit your product without damaging it, you will end up saving a small amount on each package, which can add up over time. Just be sure that the package is still large enough to fit your logo, label, and other pertinent information. The saying that sometimes you have to spend money to make money is completely true and applies to packaging. By spending the extra money to hire a professional design company to create the image or logo on your container, you can make your company appear more professional, attracting more clients. A professional design also indicates a high-quality product in the eyes of most consumers. In addition to the professionally designed portion of your packaging, you will also need to have some sort of message on the package. For smaller containers, this can be something as simple as your slogan, or it can be a bit longer, such as your company history. The message you select and the formatting you use for it can also help indicate the quality of your product to your customers, making them more likely to purchase it in the future. This allows you to increase your revenue every time someone views the packaging, but you only need to spend a short amount of time to create the message. While putting some sort of message on your packaging is ideal, you don’t want to overcrowd the container. If there is more information you would like your customer to have access to, be sure to put your website on the packaging. This is a great way to increase your Web traffic, and it may even encourage clients to leave positive feedback, which will in turn encourage more sales. Many companies are even getting creative with technology and adding QR (quick response) codes to their products so clients with smartphones can quickly scan the code and access the website or even special discounts and coupons. For more information on our custom packaging options, call us today at 1-855-766-7225 and we would be happy to provide you with further details on our services and the benefits of custom packaging itself.